Faik Pasha Suites opened its doors on 3rd March 2013 as a apartments in istanbul. It is a ‘’Special Category’’ suites-Cafe which approved and controlled by the Ministry of Culture and Tourism. The stunning Faik Paşa Street has always been one of the most interesting areas of Beyoglu. The Art Nouveau Style Apartments were different from typical wooden villa style of Istanbulite, Beyoglu was the first example of the European lifestyle in Istanbul. During the last 4 century, Faik Pasa Street and Beyoglu has witnessed the cosmopolitan social life of Beyoglu; Italians, Russians, Greeks,Jewish , Armenian and Turks lived here together in peace and harmony. You could hear the Ezan together with the Church Bells, Faik Pasha design hotels district is unique and very valuable because of its multicultural characters. 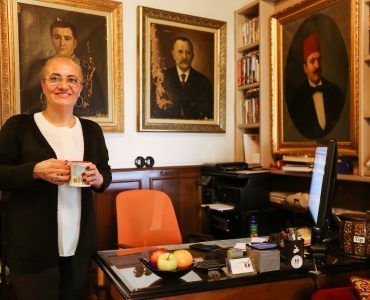 Dating back to 1870, the Italian High School named Galileo Galilei was opened in our neighbourhood and it is still one of the most popular high school of İstanbul. For instance, The Dormitories of Galileo Galilei Italian High School has been in Faik Pasha Street since 1870. Also, Zografyon Greek Highschool (1848), Galatasaray High School(1481), Saint Pulcherie Highschool (1846), Liceo Italiano IMI (1861) are all in this area. Faik Pasha Family gave their name to our Street and the Faik Pasha Suites. This family lived in Faik Paşa Street No:4. Francesco Della Suda’s nickname Faik Pasha I (1814- 1866, Istanbul) he was an Italian-born Ottoman pharmacist and General in Ottoman Army. He was one of the Pharmacy pioneers in Turkey. His son Giorgio Della Suda nicknamed Faik Pasha II, was an Ottoman pharmacist General too. He was also one of the pioneers of modern pharmaceuticals in Turkey. He completed his primary and secondary education in Saint Benoit French School in Istanbul and graduated from Paris Pharmacy Faculty. Faik Pasha penthouse istanbul hotel gets its very special concept and spirit from the history of our neighbourhood. The Family of Faik Pasha(Della Sudda) is one of the samples of this unique history. The design of Faik Pasha Suites reflects the past days’ style, even if the rooms have the most modern equipment such as 3DTV, Nespresso Coffe Machine, IPhone dock etc. 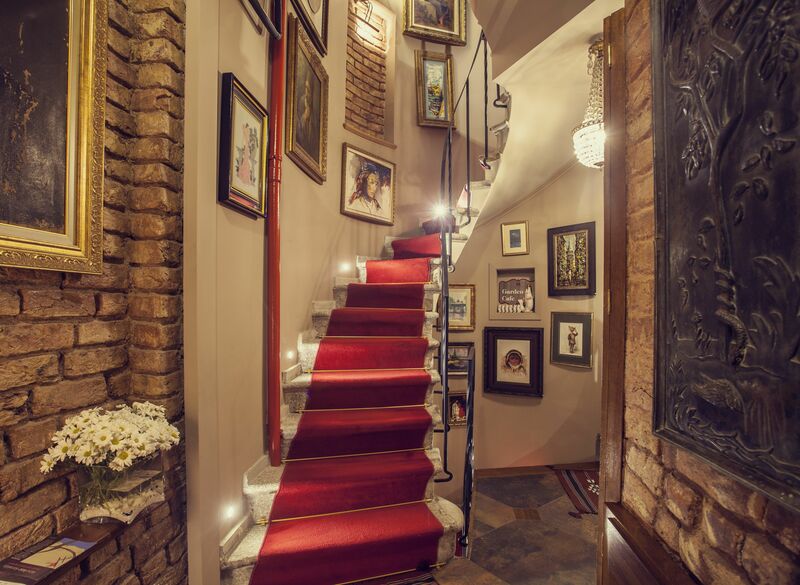 This Beyoglu design hotel has its authentic decoration contrary to the global 5-star hotels. 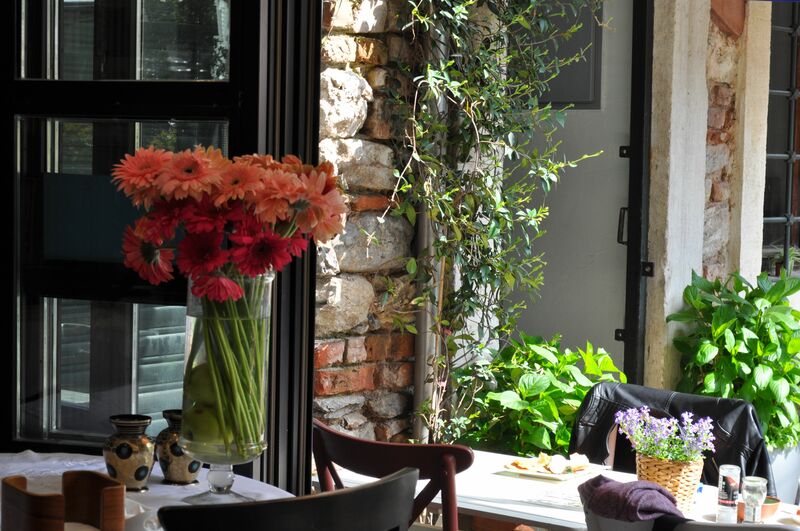 Faik Pasha hotel apart istanbul guests could see the historical architecture and vibrant modern designs of Beyoglu. Faik Pasha Design Suites is just minutes away from the city’s most important sites including the Istiklal Street, Istanbul Modern Museum, Dolmabahce Palace, Taksim Square, Karaköy, Kabatas Port.T heathers, Music Halls, Shopping malls, Old Palaces and Museums are very close to Faik Pasha Suites. Allow yourself to be submerged into the world of history, stay in elegant and lavish suites, whose walls still remembers the lives of past days. Stay in Faik Pasha Suites ‘’Special Category’’, and feel the transformative power of living in the here and now, where history and modernity intertwine to create a perfect backdrop for a transcendental experience.